The American capital is not the ‘small’ spot the kind of which most Sunday Spotlights feature, but compared to a lot of large American cities, there’s something about it that feels rather manageable. 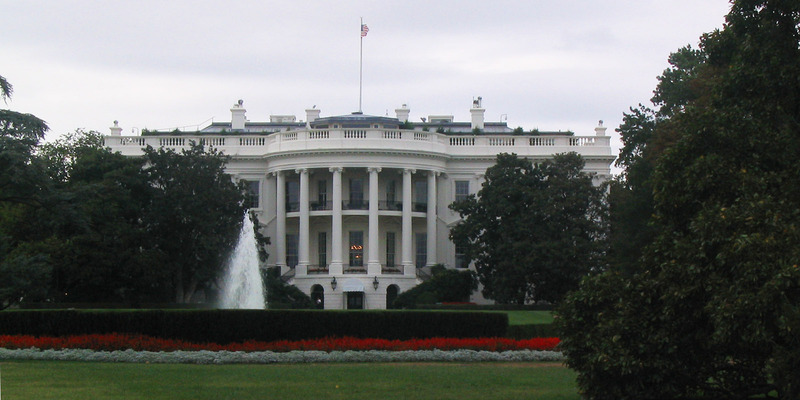 Add to that that in the centre of the best things to see can sort of be walked to – around the capital building to the monuments and memorials, well Washington DC is really a great spot to spend a few days. 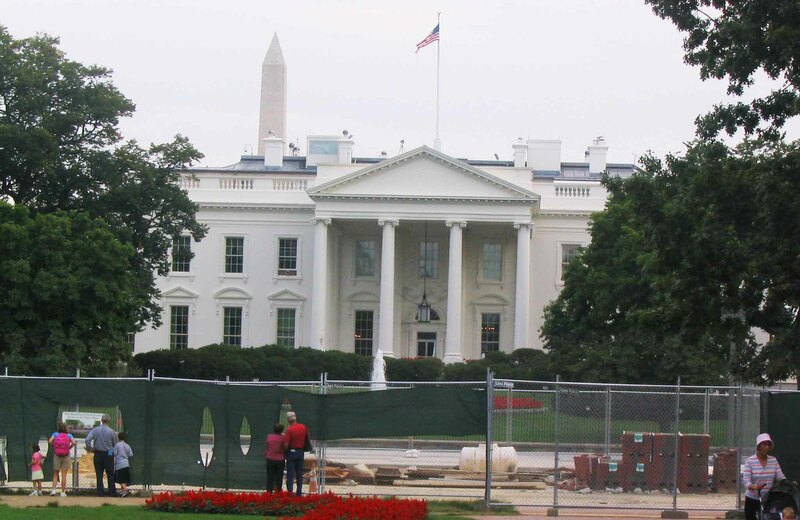 I mean – you’ll need to walk past the White House. I guess we all imagine it’s hidden somewhere, but it is pretty easy to get close to, sure there are grounds and a fence, but even with my old point and shoot camera, I could take a decent photo. Well, it’s not that great, but you can see I wasn’t that far away. 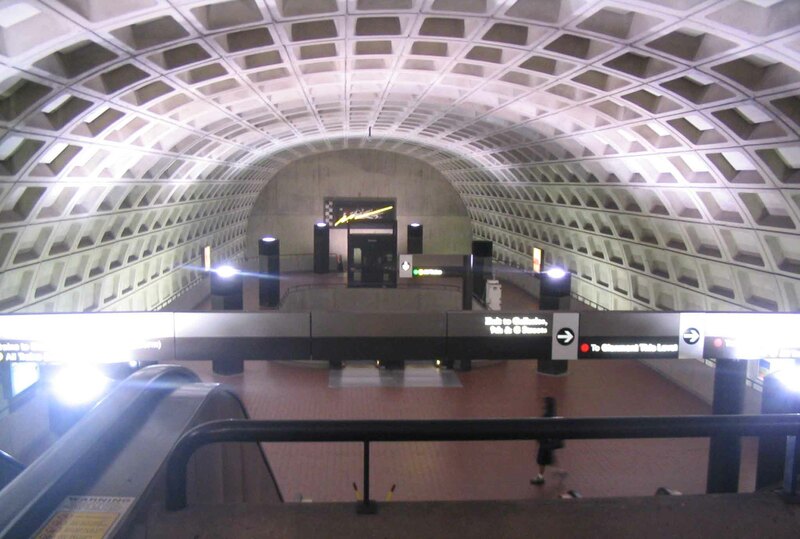 This map shows you how accessible DC really is. 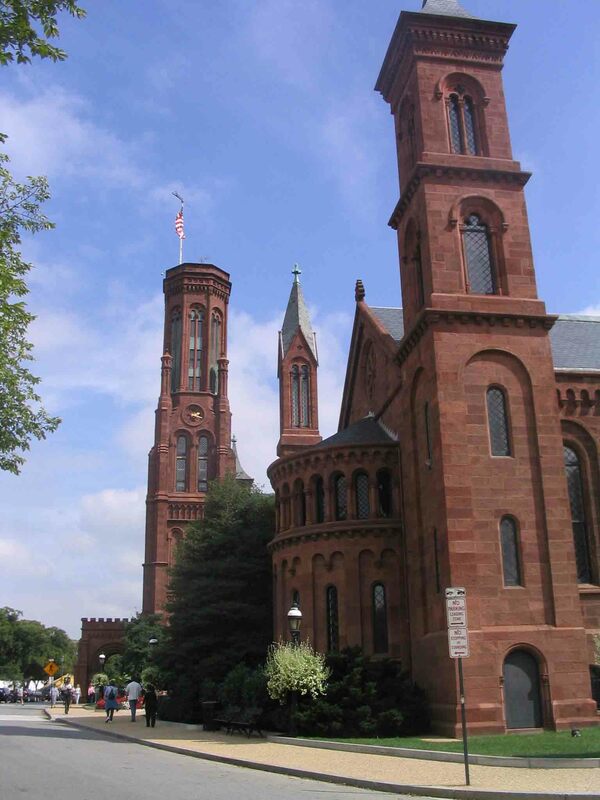 There are four Smithsonian museums – I went to one only, the Air and Space Museum, which was really good, but they are all reputably amazing museums and if I went back I’d try to get into the other three. Smithsonian Institute from the front. Inside the Air and Space Smithsonian. 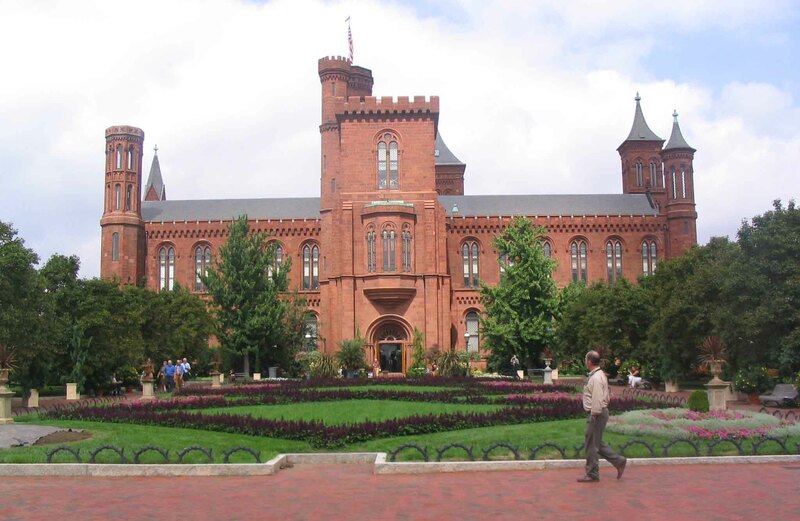 The Smithsonian Institute is a wonderful building, looks like a sort of haunted castle from the outside. 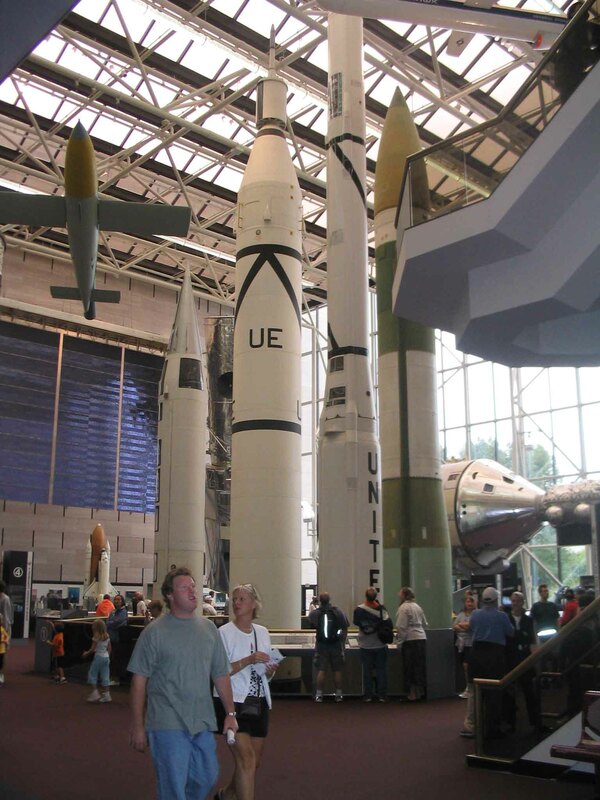 However, the Air and Space Museum is really wonderful, the perfect place to get your geek on and if you’re excited by space craft and the like, you’ll be pretty gosh darned excited by this museum! 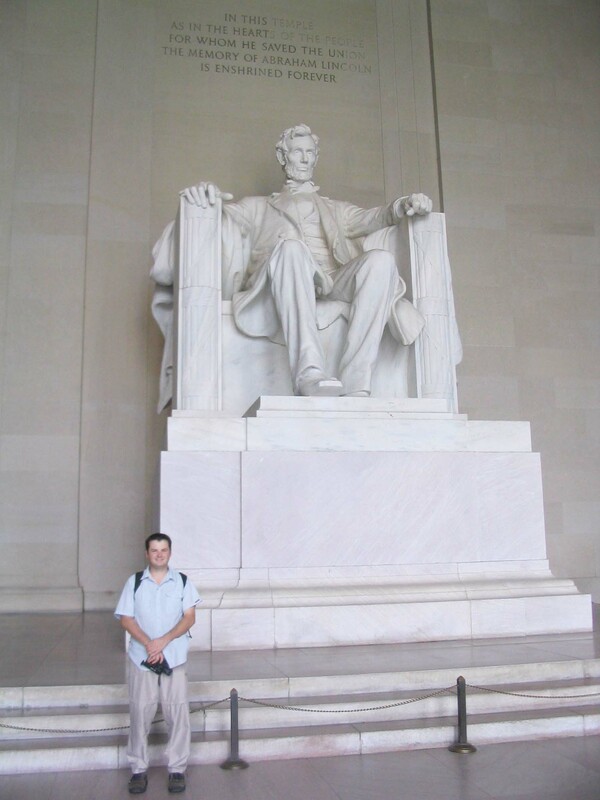 The capital building was at one end, and I found myself walking to the other end to the incredible Lincoln Memorial. Yes, I got someone to take a photo of me with it – a rarity for me in those days. 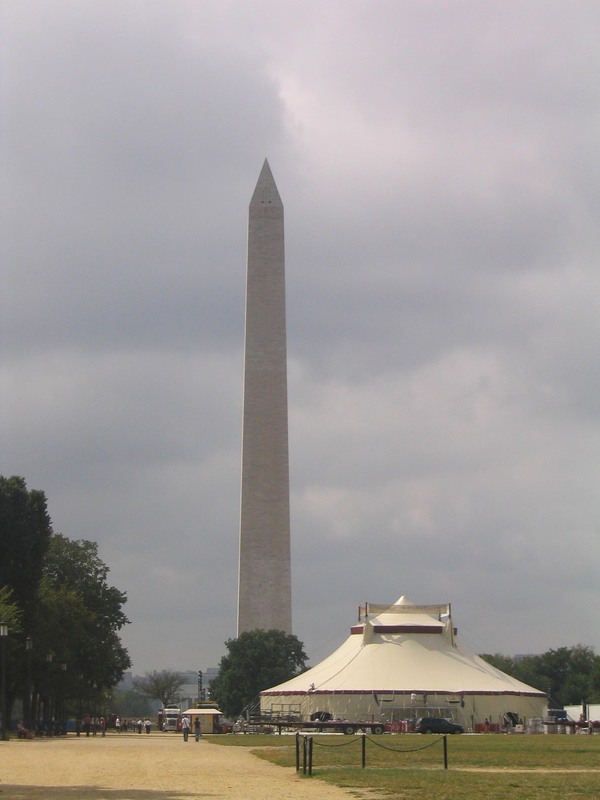 To get there I passed the monolithic Washington Monument. Ummm yes well it’s very tall. What else can be said about such a thing? 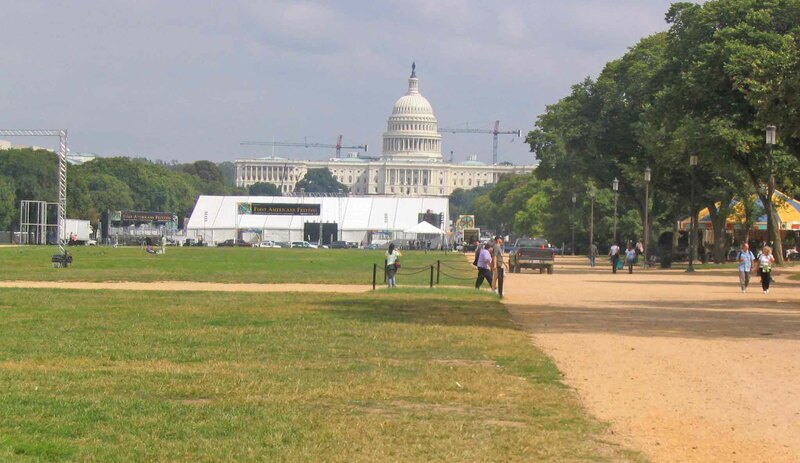 I walked on further to the far end – opposite the capital building – of the whole kit and caboodle. 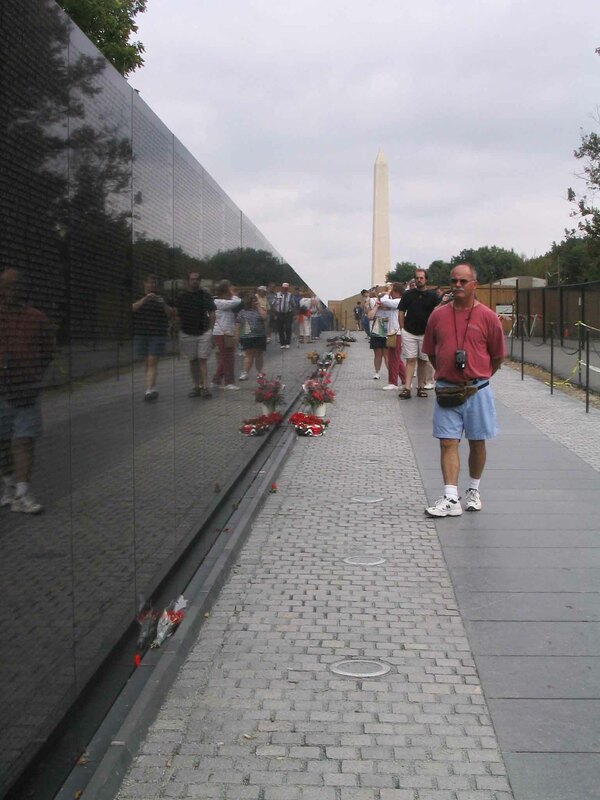 This took me past the Vietnam War Memorial on the side I was on. It has the names of fallen servicemen there. It’s moving not just for the engraving and the endless roll of names, but also for its location. 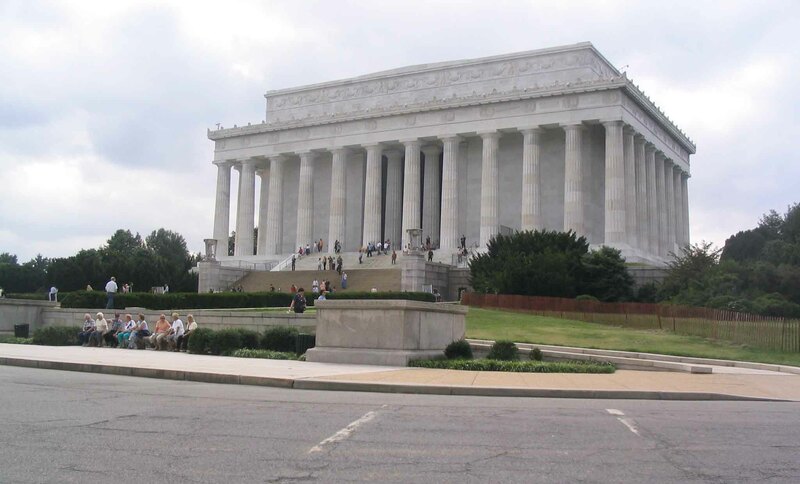 The Lincoln Memorial is gigantic. He must be 50 times the size of the real man, at a guess. 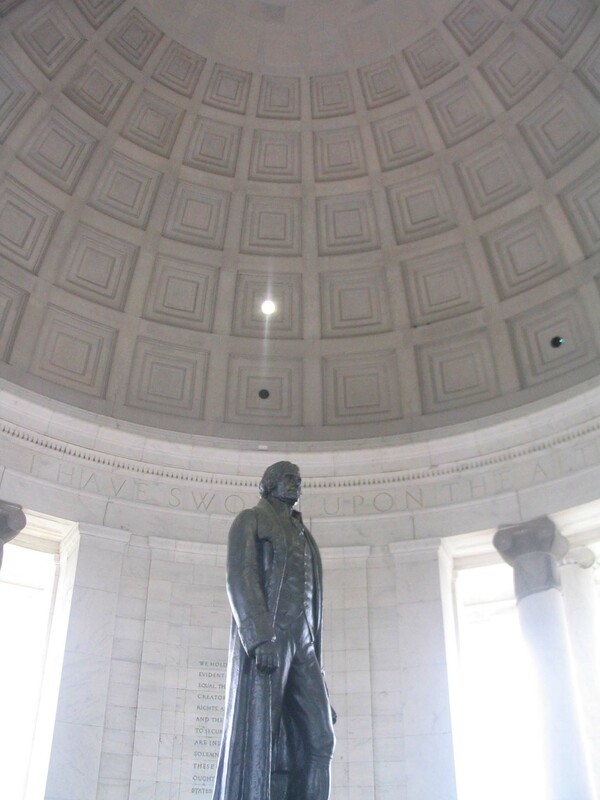 He sits in his chair in this grand marble building with columns and watches over Washington and the parliamentary buildings. People liked having their photograph taken with him (including myself) in 2004, I can only imagine how it is these days! 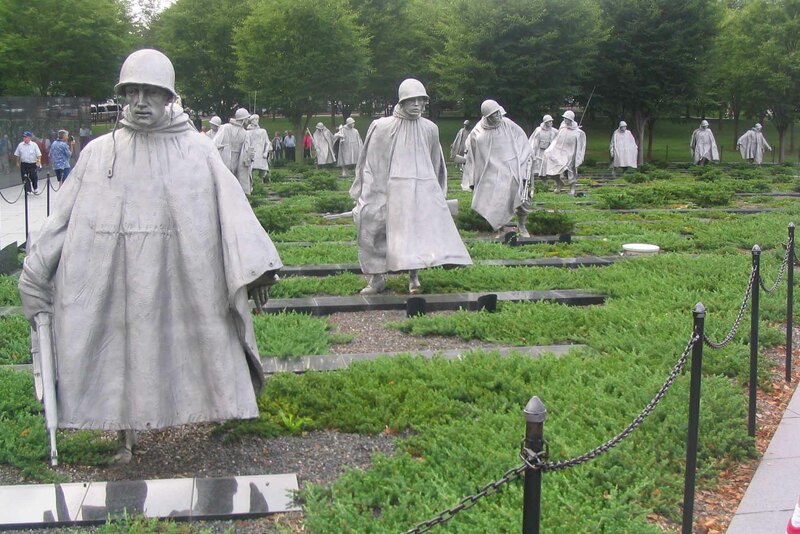 From there I rounded the also moving Korean War monument with its statues of soldiers in pose, which really is a wonderful monument. 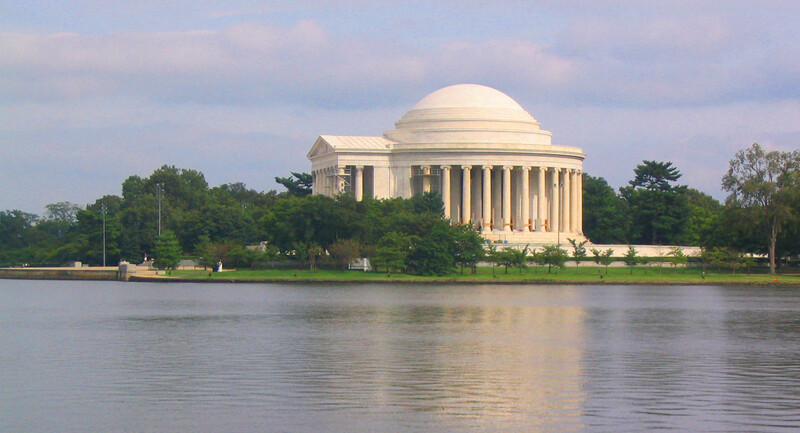 Washington has some great nightlife and restaurants to check out, and the rivers Potomac and Anacostia are what the city is built on. I found some of the leafy suburbs also to be really pleasant. Transport is decent, a good metro and loads of buses. It’s actually a great American city. Thanks for reading – and May the Journey Never End! Washington seems like a great place to visit and explore. I would love to go there soon, Andy! Andy, I completely agree…. 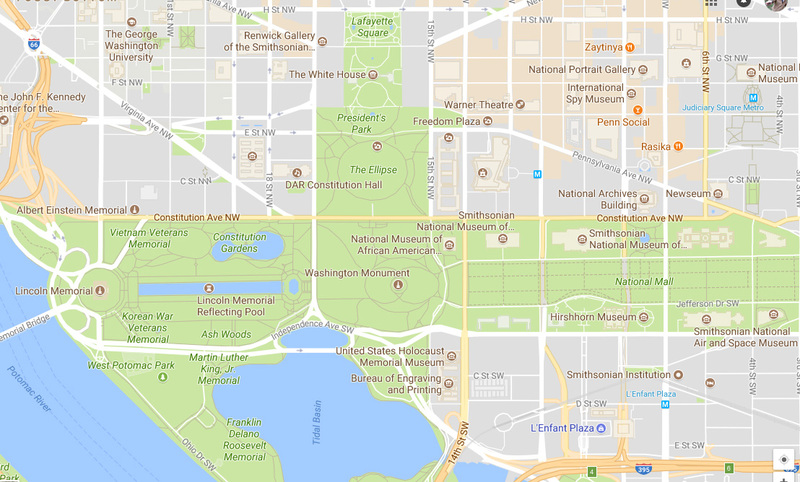 Washington DC is one of the few cities in the US (like New York) where you can get the full tourist experience by foot! I loved the Lincoln Memorial, and even though I have been there twice now, I have not visited the Jefferson Memorial… oh well, had to leave something for the next time. 🙂 thanks for stopping by Shikka! Hope you’re doing ok! it’s a great city! Thanks for stopping by Sha! yeah its not bad – surprising I guess. Thanks for commenting!